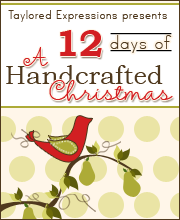 Welcome back for Day 2 of Sneak Peeks at Taylored Expressions! I hope you enjoyed the peeks from yesterday! All of the new products will be available for purchase tomorrow, Thursday, April 4th at 8am Pacific in the TE Store!! We have more exciting things to show you today! My first project uses the new Moka Skylar set. 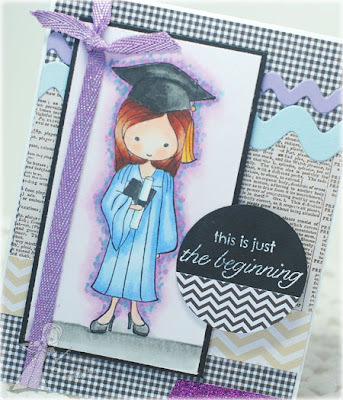 Graduation time is coming soon and Taylored Expressions has new products that will be perfect for the big day!! I created a graduation card that is a little funky, but perfect for a young girl who likes wild patterns and the color purple! ;) The papers are from the Walnut Grove Collection from Pebbles. I colored Skylar with Copic markers and tried out this background speckle technique I saw to add to the "funky-ness" of the card. 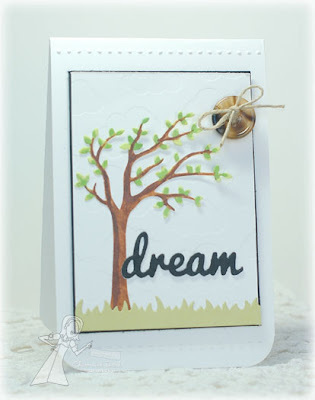 One of the patterns on the card was added using the new Ric Rac Borders Dies. I added some sparkle with the Dark Purple Glimmer Ribbon and the Grape Glitter Tape. My second project today uses a new die! It's called the Windy Tree Die. 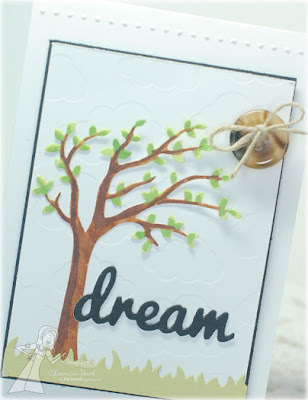 It's like the previously released Love Tree Die, but this tree has normal leaves instead of heart leaves and the accompanying word is "Dream". I made this card very simple. The background was embossed with the Clouds Impression Plate. I die cut the tree out of white cardstock and colored it with Copic markers. Coloring the white tree made it go very quickly rather than die cutting the tree in brown and then again in green and snipping all the leaves. . .although that would make for a gorgeous tree too!! Grass was added using the Grass Border Die. This die would look great just as a silhouette with no color too! The Baker's Dozen has even more to show you using these and other new products! 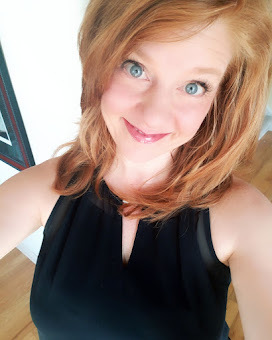 I hope you've enjoyed the Sneak Peek today. Remember, tomorrow is RELEASE DAY! Tonight is the Facebook Preview Party at 6pm PST!! You'll get to see the new sets before they are released!! Oh wow these are just wonderful Charmaine! I love the technique you used on the tree... it has such a gorgeous look to it! Beautiful, Charmaine! Love the speckling around Skylar and what a great idea to cut the tree out in white and color it! Both cards are delightful!! 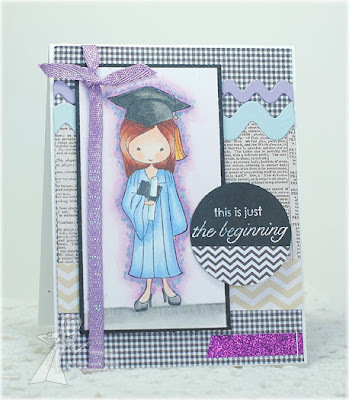 Sweet coloring on the graduation card and the second card is a wonderful CAS, love that bold sentiment. Oh, Charmaine - your Skylar could NOT be sweeter! I love the colors you used. And what a smartie you are re: coloring the tree!!! Hey Miss Charmaine! I love how you colored Moka Skylar and the Ric Rac border is such a pretty match! Also love your CAS Windy Tree die, I'll have to remember this one! Hugs! OOOOOH! These are fantastic Charmaine! I especially LOVE your coloring on the Moka! Honey, both of these are darling!